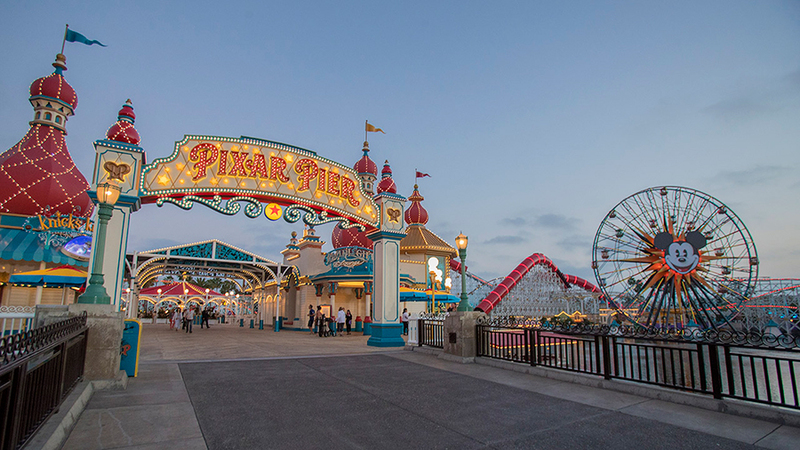 Pixar Pier, the reimagined land along the shores of Paradise Bay in Disney California Adventure park, is now open to guests! 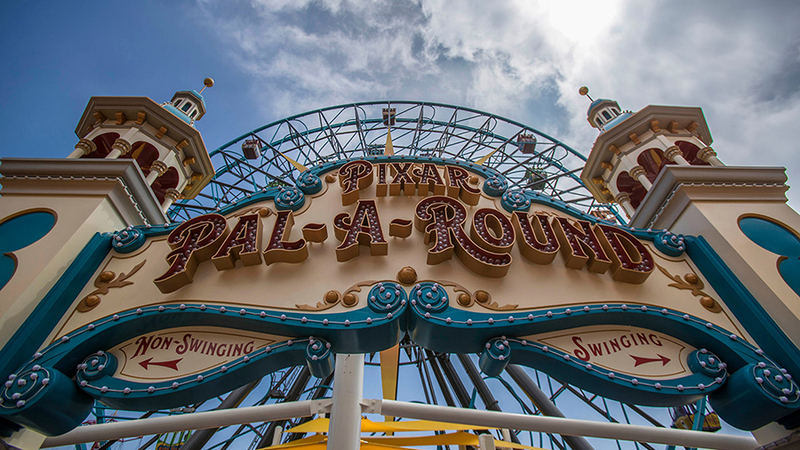 Check out what’s in store for your first visit to Pixar Pier! 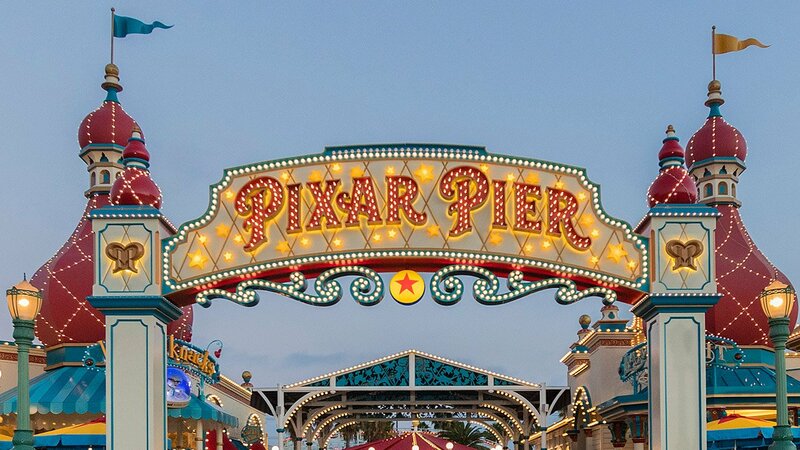 As you enter Pixar Pier, you’ll pass under the dazzling marquee. 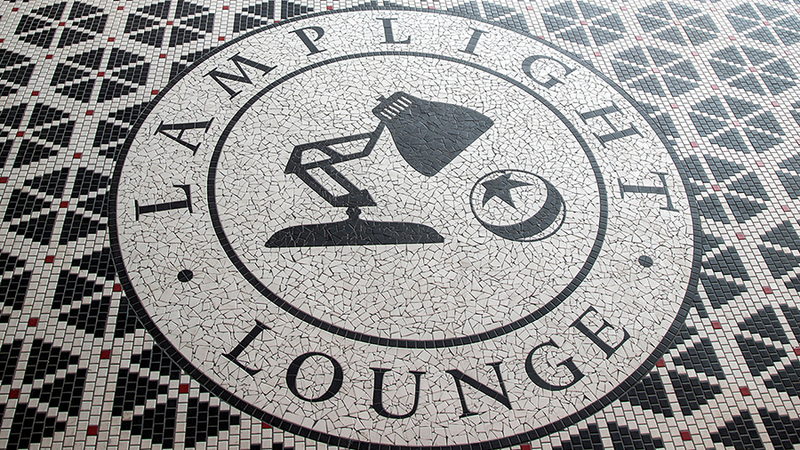 On the right hand side, the new Lamplight Lounge is a stylish, fun place to hang out with the whole family. Lamplight Lounge serves a new menu of California casual gastro-pub cuisine that is playfully presented, along with unique signature cocktails. 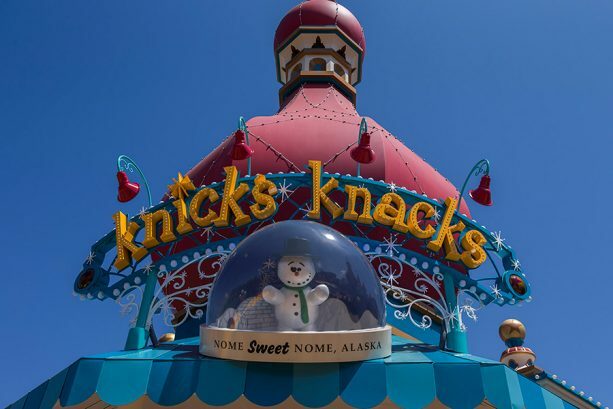 On the other side, Knick’s Knacks offers an assortment of goodies and souvenirs based on Pixar film favorites. 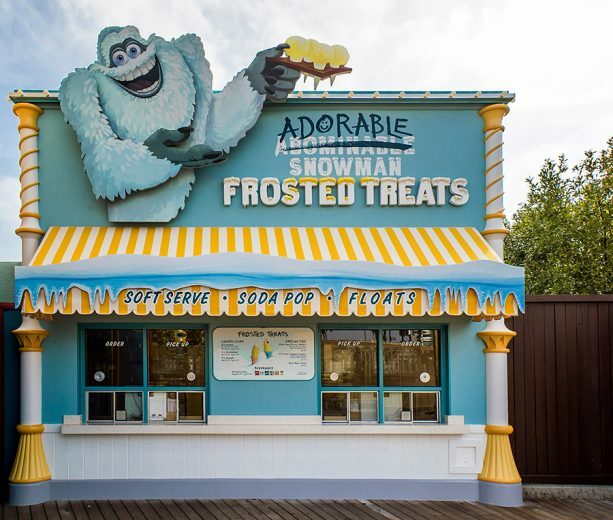 At Adorable Snowman Frosted Treats, you can enjoy cones and cups with tasty towering soft serve, available in chocolate, vanilla, and non-dairy lemon, as well as specialty treats like the Pixar Pier Parfait and the It’s Snow-Capped Lemon. At Incredibles Park, the inviting plaza features mid-century modern design aesthetics. 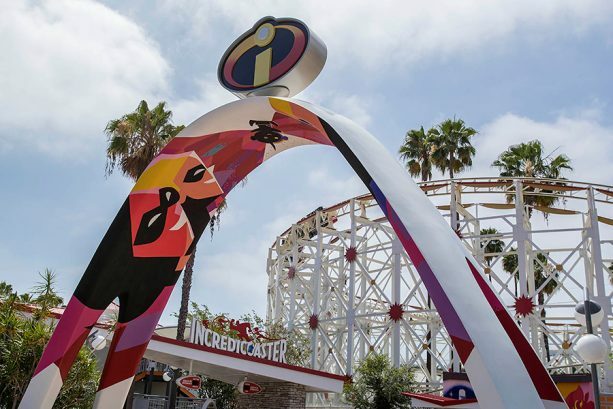 Anchoring the area is the new Incredicoaster, a thrilling adventure with “The Incredibles!” Check out our ride along with an Imagineer here. 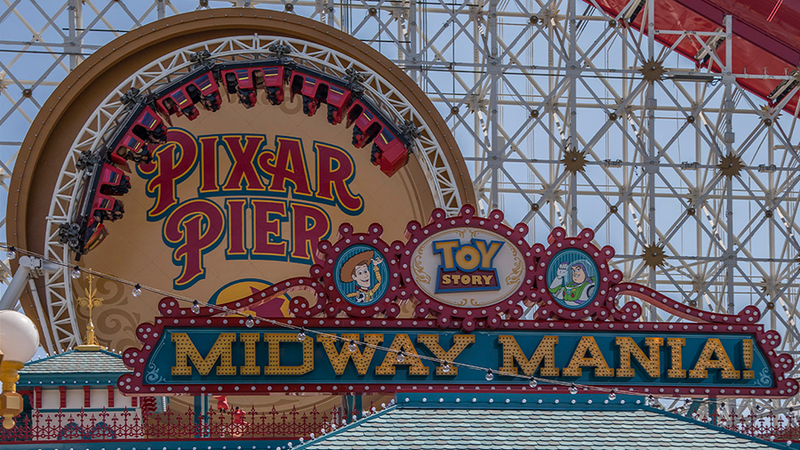 Adjacent to Incredibles Park is Toy Story Boardwalk, a neighborhood that includes the popular Toy Story Mania!, with Jessie’s Critter Carousel coming in 2019. 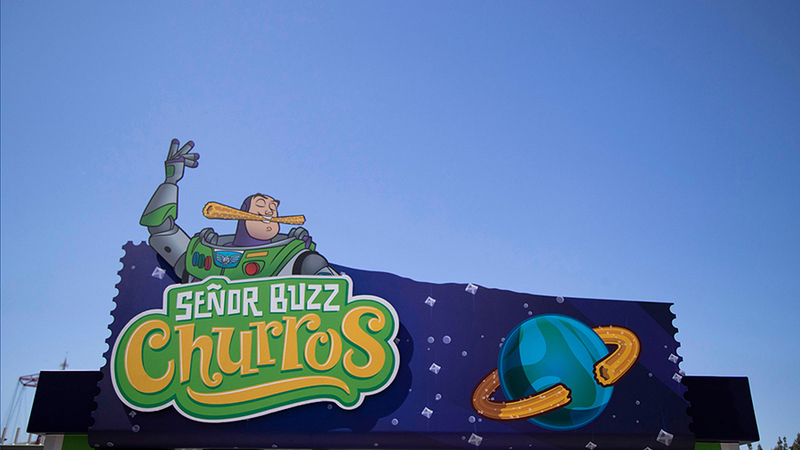 Be sure to check out food spots, including Señor Buzz Churros and Poultry Palace! 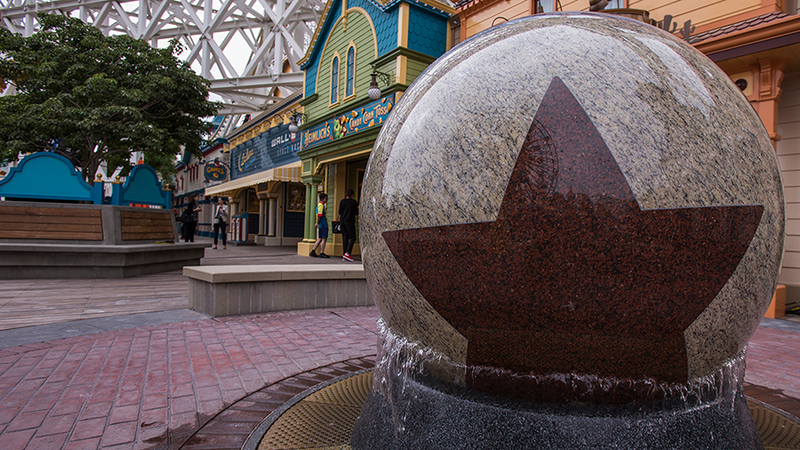 The charming Pixar Promenade celebrates the heartwarming stories and beloved characters from all of Pixar’s films. 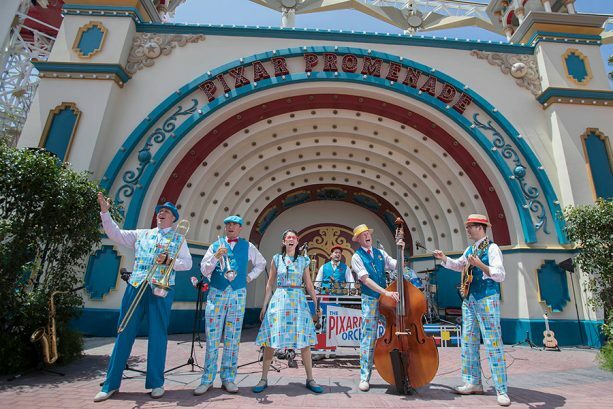 Test your skills and win a prize at the Games of the Boardwalk, listen to music and meet favorite Pixar characters at the classic band-shell stage or take a spin around Pixar Pal-A-Round. 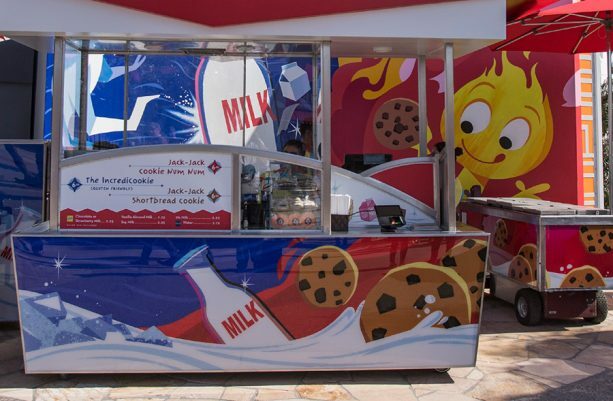 Later this summer, discover the treasure trove of candies, souvenirs and trinkets at Bing Bong’s Sweet Stuff. 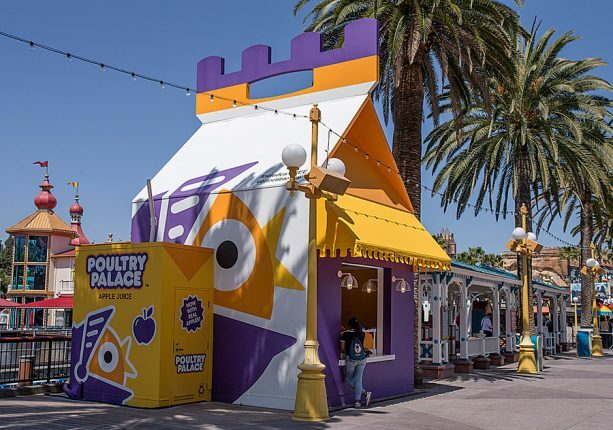 The fourth neighborhood in Pixar Pier is Inside Out Headquarters. As we announced yesterday, the whimsical family-friendly Inside Out Emotional Whirlwind will debut in 2019! For more details on the neighborhoods, check out the story here.